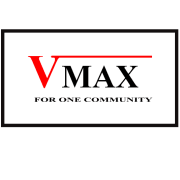 VMAX "For One Community" is dedicated to teaching youth life skills. VMAX embrace youth of all cultures, providing structure, discipline and encouraged to be respectful, reach maximum potential, and be productive citizens in our community. Our purpose is to provide a venue in which the values of discipline, responsibility and honor are upheld and stressed. In developing these basic values one also achieves self esteem. We believe these values to be necessary in meeting challenges and achieving one’s goals both in life and in the Community. We have held a Annual Boxing Event for 7 years to raise money for an all boys scholarship program at Leesburg High School. Would you recommend VMAX FOR ONE COMMUNITY INC?